The Poke's Jasper Gibson is at Lutyens & Rubinstein with his debut novel A Bright Moon for Fools (7pm, free but book in advance). Dan Simpson hosts a poetry SLAM at the Genesis Cinema on Mile End Road (7pm, free). Mexican author Juan Pablo Villalobos and Deborah Levy talk about family and belonging, at Keats House with English PEN (7pm, £5). Simon Sebag Montefiore is in conversation about his novel One Night in Winter, at Waterstones Kensington (7pm, £5 / £3). Jessica Horn hosts an evening of African protest writing, with Najat El Hachmi and Jean-Luc Raharimanana at the Southbank Centre (7pm, £8). Alan Moore is signing copies of Fashion Beast at Waterstones Piccadilly from 4.30pm. Juan Pablo Villalobos and Stefan Tobler discuss translating fiction, at the London Review Bookshop (7pm, £10). Alternatively, you can see Juan Pablo Villalobos plus DBC Pierre, Shane Solanki and DJs Moshi Moshi Records at Rich Mix (8pm, £4). Children's fantasy author Sean Cummings launches his new book Student Bodies at the Big Green Bookshop (7pm, free). Poets from the Bloodaxe anthology Dear World – Ágnes Lehóczky, Éireann Lorsung, Sandeep Parmar, Eileen Pun and Marcus Slease – are at the British Library, along with Nathan Hamilton and James Cihlar, for a reading and discussion about literary migration (6.30pm, £4 / £3). Ruth O'Callaghan presents Maureen Duffy, Jane Duran and Sharon Morris at the Camden Poetry Series (7pm, £5 / £4). Our own M@ hosts a Thames Festival talk with Philip Hoare about the river, on the HMS President (3pm, £7 / £5 + bf). There's a free afternoon of arts and crafts with Penguin at Foyles Royal Festival Hall, inspired by Keri Smith's Wreck This Journal (2pm-5pm). Lit Crawl brings its blend of pubs and writers to Soho; details still a bit sketchy, keep an eye on the Lit Crawl website for details. The Keats House Ambassadors perform poetry about and inspired by music. Free with a ticket to Keats House itself, which is £5 / £3 (3pm). The Poetry Book Fair runs 10am-5pm at Conway Hall, free. Kieron Gillen and Jamie McKelvie are signing copies of the Young Avengers collection at GOSH! Comics between 2pm-3pm. Leigh Russell is signing copies of her crime novel Cold Sacrifice at Waterstones Walthamstow from 11am. We really enjoyed Nuala Casey's Soho 4am – grab a copy at Waterstones Sutton from 11am and she'll be there to sign it for you. Rachel Kolsky leads a walk of Hackney and Dalston, uncovering its connections to Jewish writers (11am, £12). Paul Lyalls, Carol Grimes, The Ruby Kid, Sophia Thakur and Charlie Dupré join Jumoka Fashola for Jazz Verse Jukebox at Ronnie Scott's (7.30pm, £8). M Stasiak and Christopher Williams are at Torriano Poets, introduced by Lisa Kelly (7.30pm, £5 / £3). Playwright Michael Frayn is in conversation at the National Theatre (6pm, £4 / £3). Kid I Wrote Back has open mic poetry and spoken word, plus performances from Kit Caless, Chimène Suleyman and Dylan Sage at Bar Kick (7pm). Geographers and travel writers Robert Twigger and Michael Jacobs talk about the two of the great rivers of Africa and the Americas at the Thames Festival in Westminster (7.30pm, £7 / £5 + bf). Tall Lighthouse runs an open mic might at the Poetry Cafe, sign up between 6.30pm-7pm (7.30pm start). Eleanor Catton's The Luminaries is longlisted for the Man Booker prize. She's talking about it at the Southbank Centre (7pm, £8). Toby Litt, SJ Fowler, Hannah Berry, Tom Humberstone and William Goldsmith are all creating a Special Relationship at The Book Club (7.30pm, £5 + bf). 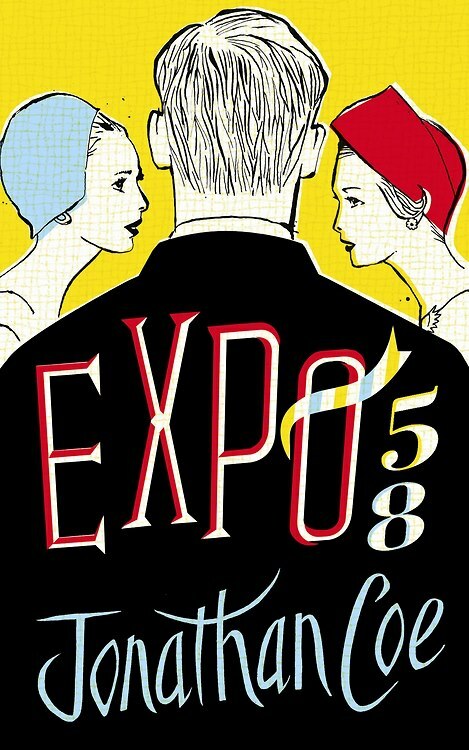 Jonathan Coe is at Waterstones Piccadilly to talk about his new novel, Expo 58 (6.30pm, £5 / £3). Mix business and pleasure at Liars' League at the Phoenix, where actors read stories specially written for the event (7.30pm, £5). Niall O'Sullivan hosts the Poetry Cafe's regular open mic night, Poetry Unplugged. Sign up between 6pm-7pm, starts at 7.30pm (£5 / £4). Damian Barr hosts Polari at the Southbank Centre, with Lois Walden, Bernardine Evaristo, Susie Boyt and Nick Field (7.45pm, £5). Michael Dobbs is in conversation with Literati at Grosvenor House (6.30pm, £20, includes a copy of his new book A Ghost at the Door). Join Dr Nick Barrett at Chipping Barnet library to talk about London's suburbs (7pm, free). Dannie Abse discusses his latest poetry collection, Speak, Old Parrot, with Dan Eltringham at Dulwich Books (7pm, £10, includes a copy of the book). Joelle Taylor, Bisha Ali, Aisling Fahey, Momina Mela and Sunshine in Mae perform at She Grrrowls at The Gallery Cafe in Bethnal Green (7.30pm, £5). Like crime fiction? Like scent? Combine the two with Odette Toilette at Foyles (6.30pm, £5 / £3). JD Taylor and Mark Fisher discuss capitalism and cynicism, at Housmans (7pm, £3).